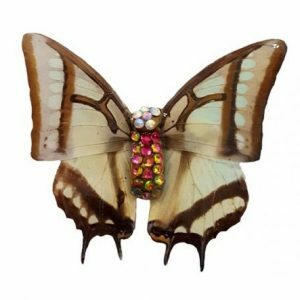 These Real Butterfly Wing Bracelet are Made from (Charaxes Narcaeus AKA Chinese Nawab.) 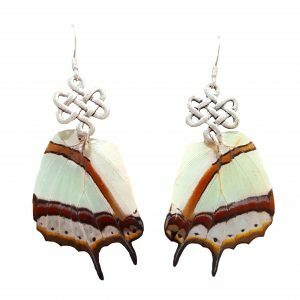 Real Butterfly Wing Jewelry, crafted with excellence. Butterflies live a full life and die naturally on farms. Combined with the beauty of nature, turned into wearable art that doesn’t just look fabulous but also acts as a great conversation starter. The wings are preserved in 20mm glass tile to ensure long lasting durability so that you can touch them without worrying about breaking them. The Jewelry is not fragile despite its fragile appearance. Butterfly died naturally on a farm after living about 3 weeks. Purchases help save rainforest and threatened butterfly populations. Your wait if finally over. This bracelet is the perfect balance of simple, unique and elegant. Want More Than Just One? Butterfly died naturally after living a full life (about 3 weeks). Purchases help preserve rain-forest and butterfly populations.